Mendoza – Hostels in Mendoza. Maps for Mendoza, Photos and Reviews for each hostel in Mendoza. 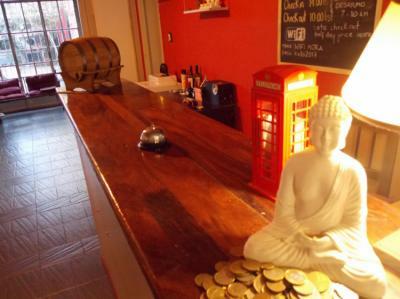 Looking for a hostel in Mendoza? Look no further, all the good deals in Mendoza are on Dorms.com. Like thousands of other people every month, book your hostel securely at the best price in all neighbourhoods of Mendoza. 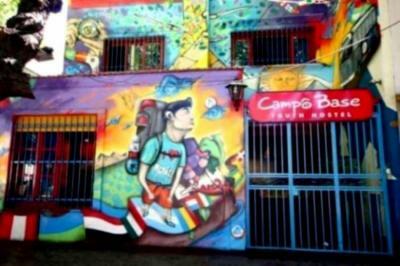 On this site, you can easily find a hostel downtown, in a trendy neighbourhood; a hostel in the student- university district, close to bus or train stations, airports or major attractions of Mendoza. Bus station to 4 blocks. Main square 4 blocks. General San Martin Park is 20 blocks away. Campo Base Youth hostel is in the center of Mendoza. Location: excellent location walking distance from everything you need, in the heart of the city in front of the Plaza Independencia! Efforts to be made on cleanliness and cleaning. Dorms or small rooms. The owner and the front deskworkers are all nice and helpful. They even allowed me to eat breakfast when I checked-in early. Also the woman that prepares the fresh omlets and crepes, Etel, always had a smile on her face and made me feel welcomed. They also have a happy hour with free wine and have special activities almost everyday. Great Place. This hostel was just exactly what we needed at the time, most of all because it had heating! It was the first place we&apos;d been to in South America that did, and being warm and comfortable made a massive difference to our stay. The building is really nice and there&apos;s a really cosy lounge area with an electric fire, armchairs and a TV. The balcony was also nice but a bit chilly at this time of year. The free breakfast was the best I&apos;ve ever seen in a hostel - so much choice - and free wine every night was welcome. The staff were really friendly and spoke English. The hostel is in a cool building, where you wouldn&apos;t expect a hostel. The courtyard an the terrace are great to hang out and the staff is really great. They provide A/C, which comes in handy when temperature hardly drop at night. Everything is just Okay in this cheap hostel. The staff were generally nice and helpful.